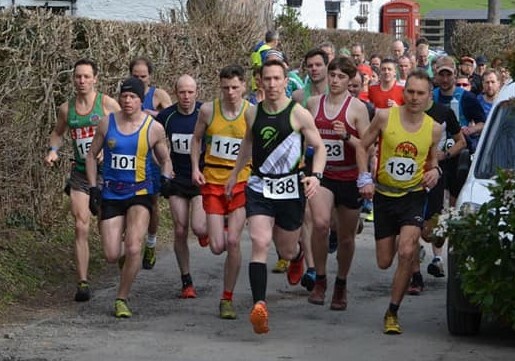 Thanks to everyone who helped to make the 2019 race a success, including runners marshals and other helpers. And a particular mention for Nick Holmes who once again was responsible for the organisation of the event. 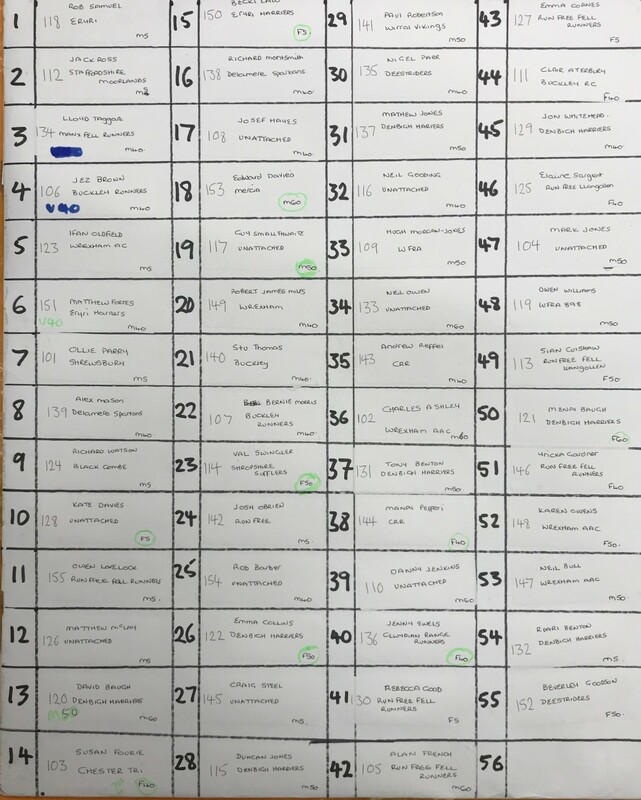 A photo of the raw results board can be viewed here. Set in the picturesque Dee Valley, the race is just over 6 miles in length with 2100ft of ascent. It follows a route up to and along the Llantysilio Mountain ridge, with a final climb up to the highest point which is Moel y Gamelin at 1893ft. Runners should arrive and be prepared to carry whole body waterproof cover, hat and gloves, whistle. Although the race is well marshalled, and with a ‘sweeper’, much of the race is around 1500ft, climbing to 2000ft. At these altitudes in March, the weather can be extreme. The greatest need for clothing is not for running but when you are forced to stop or slow, and/or require assistance. The race director will specify minimum clothing requirements on the day. For more details contact our race director Nick Holmes at nick@tattenhallrunners.com . 2016 results (Excel file with 2 sheets: Full results and Prize winners summary). Tattenhall Runners make a financial donation from the proceeds of the Llantysilio Fell Race, to Keris Jones of Rhewl (whose farmland the race crosses). Keris trained as a special needs teacher and has been visiting Albania and assisting children with the most urgent and tragic of behavioural and physical conditions since 1996.